In light of the upcoming International Women in Engineering Day on June 23rd, Biopharma Engineering highlights the talents and opportunities for women in the engineering industry. With a historical gender gap in the engineering industry, Biopharma Engineering are privileged to have so many inspiring female engineering leaders as part of our organisation. Eilish Whelan has been the face of Biopharma Engineering for the past two years. We catch up with her to gain insight into her life as an engineer at BioPharma Engineering, how she achieves a work-life balance and her advice to females considering an engineering career. My role requires a lot of attention to detail so most days start with a team meeting to review progress on projects. I spend the rest of the day assessing client specifications and modifying our designs. My goal is to design a solution that exceeds all of our clients expectations them while still being safe and cost-effective. I typically visit a site at all stages of the project usually consulting with the client on recent developments. We may have to present our latest solution, work through recent scope changes or resolve an issue that has cropped up onsite. I work closely with all aspects of the project so I might review equipment solutions with vendors, consult with the other disciplines and review and approve work from other process engineers on my team. For me physically walking around a site is so important for the progress of a project, as it helps to visualise the processes currently in place as well as inspire design ideas or highlight areas which need rethinking. What is the culture like at BioPharma Engineering? I really enjoy the role and the culture at BPE. The role itself is extremely rewarding. I have been able to get involved in a wide range of diverse project types for different clients. The support and encouragement from senior management constantly drives me forward. 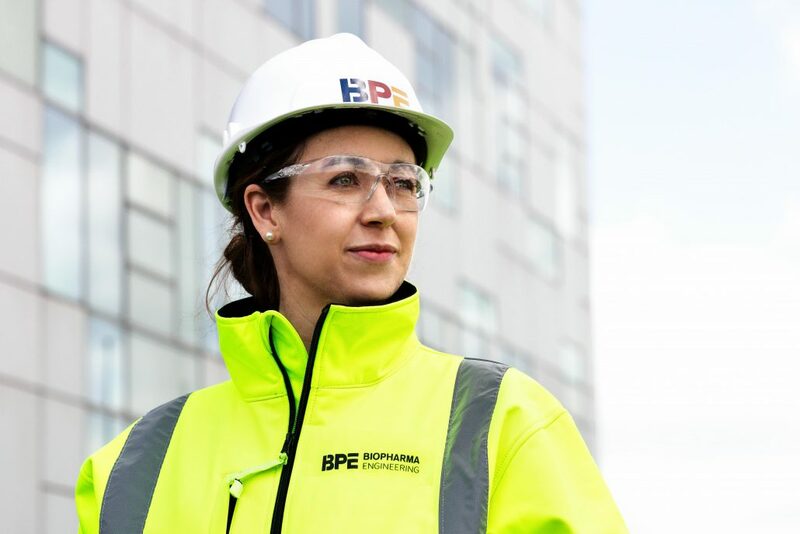 BPE also provide the opportunities and the structure for further career development. As a mother of two children, BPE have been outstanding in helping me achieve the perfect work life balance. They are very flexible which has allowed me to work around my family life. Having the option to work part-time means that I can balance my career with motherhood. What route did you take to get into engineering and what advice do you have for any females considering a career in engineering? I realised quite early in my school years that I wanted to become an engineer primarily because I loved maths and science in school. From there I completed a process engineering degree and then moved to Australia where I worked as an engineer for a number of years before moving back to Ireland. I’d advise those looking to follow a similar path to try and get work experience in an engineering environment and to choose courses and colleges with strong links to industry. https://www.biopharma.ie/wp-content/uploads/Eilish-e1529654287457.jpg 3333 5000 BioPharma Admin https://www.biopharma.ie/wp-content/uploads/logo-biopharma.png BioPharma Admin2018-06-22 08:55:292018-06-22 08:57:15#INWED18: Learn how Eilish Whelan “raises the bar” at Biopharma Engineering.